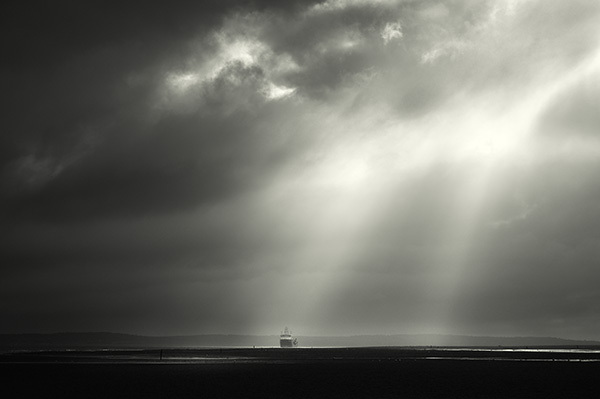 Great light can make or break composition - in this article we'll explore why. It should go without saying that great light can make a huge difference to the success of your photos but it's the one variable in the composition of your images that is largely outside your control. Time and time again on the internet and at my local photography club I see photos that would have been improved immeasurably had the light been more interesting. 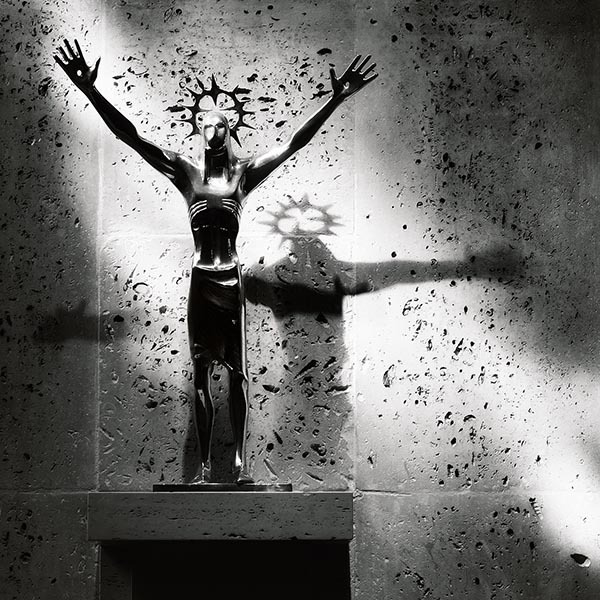 The photograph above is of a statue in Liverpool's Metropolitan Cathedral by local sculptor Arthur Dooley. The statue is called 'Christ Risen' for reasons that should be obvious to anyone looking at the photo. The cathedral is renowned for the beauty of the light from it's stained glass windows and the statue has been deliberately placed in one of the side chapels so that whenever the sun shines at a certain time of day a shaft of light illuminates the statue and it's outstretched arms cast a crucifixion shaped shadow onto the wall behind, at which point the sculptors full design intent becomes clear. I hope you agree with me that it's obvious that the crucifixion shaped shadow that is cast by the light is integral to the design of this wonderful work of art, which makes it all the more surprising that the official photos of it have been taken in flat light with no shadow - you tell me which version you think best represents the sculptor's intent for the statue. It's not just photos of works of art like 'Christ Risen' that benefit from being taken in great light; all your photos will look better - the more interesting the light - the more interesting the photo! Architectural photography is a particular favourite of mine and it is the quality of the light that reveals the subtelty of the form of the structure. 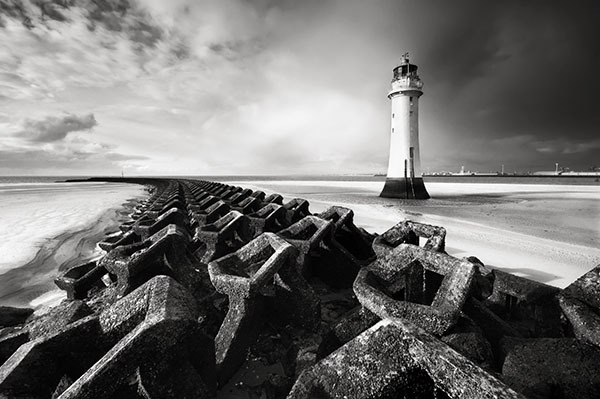 The lighthouse is called Perch Rock and was built in 1827 to guard the entrance to the River Mersey in NW England. The sun came out from behind the storm clouds for a few moments - just long enough for me to take a couple of shots, and you can see the way in which the directional light has brought out the lovely form of the curved structure of the lighthouse and the complex interlocking shapes of the concrete breakwater. 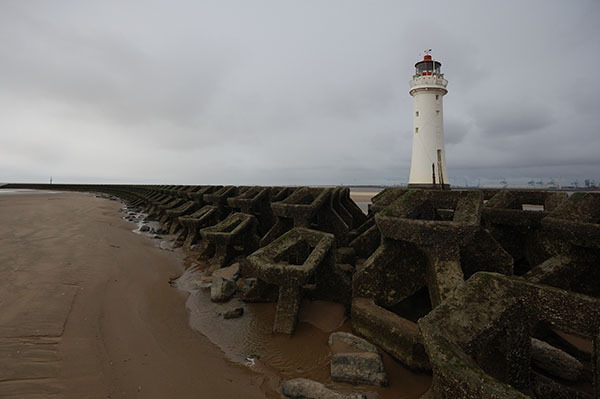 As an aside, the composition has also been improved by visually separating the base of the lighthouse from the structure of the breakwater. The issues of visual separation and frame edges will be the subject of my next blog article. Of course, your definition of great light may vary a lot from mine. Great light in the changeable climate of the north of England where I live will be completely different from somewhere in the tropics. 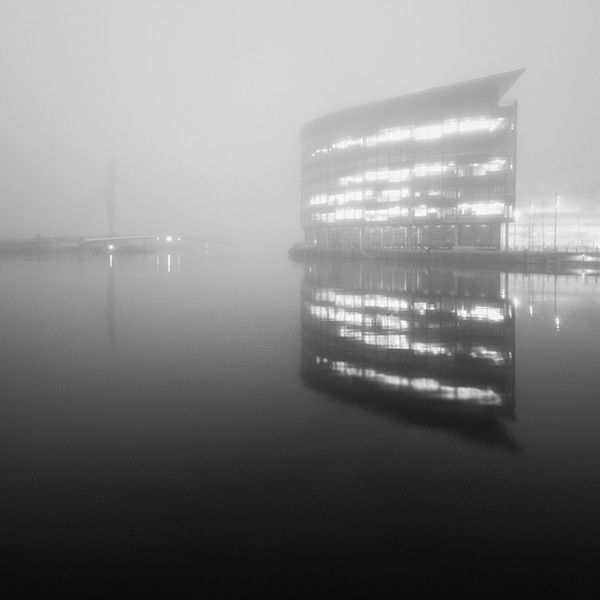 Whenever I get the chance in the winter I head down to the Manchester Ship Canal which is near my office and take a few photos when the weather is like that and to a large extent I find that the gentle misty light governs the way that I compose the photos. Here's a good example - it's a photo of the brand new building that has been built for the BBC in Salford Quays on the banks of the Manchester Ship Canal. The photo is from January 2011 yet at moments like these I feel vividly connected with the Manchester of 100 years ago so beautifully and atmospherically portrayed in his paintings by Adolphe Vallette. If have any comments or queries please send me a note using the form at the bottom of the page. thought of publishing an eBook with these articles? Thanks very much for your email. I'm really pleased that you think that these articles detailing my personal approach to composition are useful - I doubt very much though that there would enough demand to justify the effort involved in producing an ebook out of them! Practical Photography magazine - I was very flattered when Ben Hawkins asked to write that contribution for this months issue of the magazine. I haven't seen it in print myself yet so it's reassuring that you think it's okay. good that it has enhanced my understanding on photography quite a bit. Thanks for that Dhaval. I'm going to try and finish off the last article in this series on composition soon. I'm really pleased they've helped.